Harmful fats are almost unavoidable. They are being widely sold in every shape and form, hidden in places where you would hardly expect, and the damage they do is deep. The reason is that fats are one of our vital building block; they are found in every living cell in our body. Fat is a raw material converted into other compounds such as hormones that regulate a wide range of bodily functions, bile, vitamin D, chemical signals for immunity and inflammation, and it constitutes a major parts in the nervous system. Seeing their scope of functionality, unhealthy fats interfere at the cellular level leaving effects much before, and greater than, heart disease. That means the practice of avoiding even the minutest amount of disease causing fats, fats that have bumped out healthy fats and now will remain part of our cellular structure for years, may not be all that crazy. But it’s also not all that easy. Take a look at the list below and see for yourself. The following foods are mostly, if not always made from some degree of hydrogenation of their oil. Hydrogenation of an oil entails passing hydrogen bubbles through oils that are heated to scalding temperatures. The fatty acids thereby pick up some of those hydrogen atoms and become denser. If you fully hydrogenate, you create a solid (a fat) out of the oil. But if you stop part way, you create a semi-solid, partially hydrogenated oil that has a consistency like butter–only cheaper. Unlike natural dense oils like butter or virgin coconut oil, hydrogenated oils contain high levels of trans fatty acids. Discussed below, a trans fat is an otherwise normal fatty acid that has been morphed by high heat and is the culprit for the worse health problems. But your health is not a top priority for profit-driven food production companies. Taste, consistency, and texture is what makes food sell; few pay attention to what’s really in there. As a result, a frightening number of food items are absolutely packed with these dangerous substances. Another reason for the high use of hydrogenation in the food industry is due to the natural process of oxidization that occurs when fat is exposed to air, creating compounds that have rancid, stale, or unpleasant odors or flavors. Through the commercial chemical process of hydrogenation companies can retard or eliminate the potential for rancidity and prolong shelf life for profit maximization. Hydrogenated oils are major contributors to a variety of illnesses and have been shown to promote weight gain. Until the 1970’s, food producers used coconut oil, after which it was replaced with the synthetically produced and cheaper hydrogenated vegetable oil. Many scientists have observed that the American weight gain epidemic started during this period. Although it cannot be said that the use of these oils has caused the countries weight gain since there are so many other factors to consider, it is conceivable that increased hydrogenation has played a role in the current weight problem. Another variation of hydrogenation is partial hydrogenation. Fully saturated fats are too waxy and solid to use as food additives, so manufacturers use partially hydrogenated oils. These oils are also produced at high temperatures with metal catalysts and pressurized hydrogen, but the process is stopped when the oil has reached the consistency being sought. The high temperatures and catalysts used in partial hydrogenation weaken the double bonds and, as a side effect, cause a large percentage of the natural cis double bonds to change to trans double bonds. Although trans fatty acids are present in hydrogenated oil as well, they are mainly a quality of partially hydrogenated fats. Trans fat are the worse oils produced from the hydrogenation process, though all hydrogenated oils cause harm. Some may argue that low levels of trans fats occur naturally in some animal food products, but it is important to know that partially hydrogenated oils contain a large proportion of diverse trans fatty acids. Once they enter the body trans fatty acids become incorporated into the cell membranes creating denser membranes that alter the normal functions of the cell. Furthermore, the unnatural shapes of trans fats are not recognized easily by enzymes in the body and so effect the natural balance of reactions within the body, inevitably for the worse. Since this article is not intended to mention all the scientific details of trans fats, it is sufficient to have mentioned the deep levels of the body that trans fats effects, the overall consequences of which are still being discovered. Finally, although it is by far not the only problematic point about trans fat, no discussion of trans fat would be complete without mention of latest research on the most well known effects of this harmful substance on the body, namely, damage to the heart and nervous system. Effect of trans fats on the heart. Dietary trans fats raise the level of low-density lipoproteins (LDL or “bad cholesterol”) increasing the risk of coronary heart disease. trans fats also reduce high-density lipoproteins (HDL or “good cholesterol”), and raise levels of triglycerides in the blood. Both of these conditions are linked to diabetes, hypertension, and cardiovascular disease. 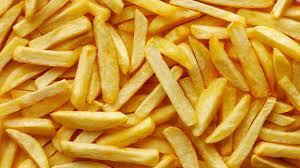 Researchers have reported that there is two times greater risk of heart disease in people who consumed trans fats. It worsened their blood lipid profiles and they had nearly twice the risk of heart attacks compared with those who did not consume hydrogenated oils. Other well designed trials studying the link between trans fatty acid consumption from processed foods and the development of cancer are also quickly accumulating. Effect of trans fats on the nervous system. 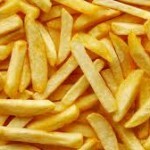 Trans fats also have a detrimental effect on the brain and nervous system. Neural tissue consists mainly of lipids and fats. Myelin, the protective sheath that covers communicating neurons, has a high fat composition. As mentioned earlier, trans fatty acids in the diet get incorporated into cell membranes, including brain cell membranes and the myelin sheaths that insulate them. Trans fats replacing the natural fats in the membrane has been shown to alter the electrical activity and communication of the neurons. Apart from the neural degeneration and diminished mental performance that this may cause, disorders such as multiple sclerosis, Parkinson’s Disease, and Alzheimer’s Disease appear to exhibit the same qualities as do trans fatty acids incorporated in the brain. Since 2006, due to the overwhelming scientific evidence linking trans fats to cardiovascular diseases, the United States Food and Drug Administration now enforces all food labels to disclose the amount of trans fat per serving. Many European countries have also either banned hydrogenated and partially hydrogenated oils altogether or have instituted dates for elimination of their use in foods. Unfortunately, our ingestion of trans fatty acids couldn’t have been any earlier. A Canadian study showed that an average of 7.2% of the total fatty acids of human breast milk consisted of trans fatty acids which originated from the consumption of hydrogenated and partially hydrogenated vegetable oils by the mothers. Knowing what we do, it seems that enough cannot be said to warn people from trusting the commercial food industry. Being informed is the first step in recognizing how easily fats can slip into the diet, especially when eating out but even when cooking at home. The good news is that the effect of hydrogenated oils can be reversed. Limiting your food ingredients to their most raw form, for instance, is one of the most nutritious changes you can make. Though eating healthy comes with it’s challenge, it can be learned. It has to do with the winning combination of science’s new-found understanding of food with centuries-old techniques of gourmet cuisine. The fact that we can turn unprocessed and wholesome ingredients into tasty and health promoting meals is not just celebratory, it is mouthwatering.